In many practice settings, the amount of care that the psychiatrist is able to provide is not sufficient to meet the service demands and can be greatly enhanced by well-qualified, well-supervised professionals. 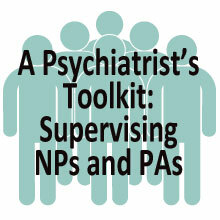 This toolkit is designed to educate psychiatrists about NP/PAs and to encourage them to provide appropriate and helpful supervision and to develop meaningful quality monitoring systems. Through these efforts psychiatrists can improve patients’ access to quality care. 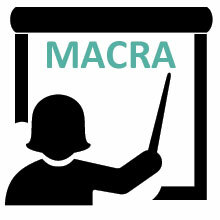 This document collects and puts into one place the tools necessary to provide a strong supervision program—licensing board requirements, suggestions for structured clinical supervision meetings, templates, and resources to make the supervisory experience a rich one that is mutually beneficial to the physician, the NP/PA, and the patients they care for together. There are a number of reasons why psychiatrists should be encouraged to provide supervision to NP/PAs in their regions. 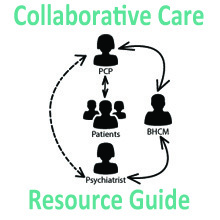 When an NP/PA is appropriately supervised and engaged in a collaborative effort, access to good psychiatric care is improved and the mental health workforce grows and strengthens. Through extension, a psychiatrist is able to oversee the health care treatment of more patients, particularly relevant in areas with limited resources. NP/PAs play an important role in the health care delivery system, and when they are unable to procure quality supervisors, the system fails. There are even more reasons why psychiatrists should assess the quality of the supervision they are providing. Providing strong, effective supervision protects your medical license, earns you respect in your community as a quality provider, strengthens the safety net for the patients in your region, and offers mutually beneficially opportunities to improve. In addition, as the healthcare delivery system evolves into one patterned on team-based care, a psychiatrist’s ability and proficiency in providing supervision, overseeing quality, and understanding quality improvement processes, will be in high demand. And the final reason why psychiatrists can and should provide meaningful supervision to other professionals: physician satisfaction. All of the physicians involved in developing this toolkit described the professional relationship as meaningful and valuable in their own practice of medicine. This toolkit has tried to put important information, intriguing ideas, and helpful checklists and templates in your hands. There are probably many questions that have not been answered in the attempt to be succinct. Please call the NCPA office to ask or email us to offer your own suggestions. There are different ways to provide supervision and review care, and it is very important that psychiatrists develop a plan to ensure that the care provided meets all requirements, is evidence based, and is of high quality. 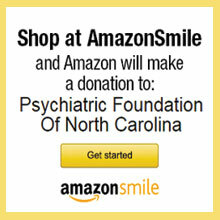 By doing this, psychiatrists can help ensure that all patients have access to good psychiatric care and better meet the needs of under served areas in North Carolina.